January reads: “Women Rowing North” and more! – Independence Through Connections. We at SAIL hope you’re surviving the January weather! If you’re cozied up at home and need some great reading, here are a few articles (some with book recommendations) that members have sent to us: Just click the title to be taken to the link. “The Joy of Being A Woman In Her ’70s” – The New York Times, by Dr. Mary Pipher, author of Reviving Ophelia. Dr Pipher’s new book Women Rowing North is now available on amazon.com. *Fun fact-SAIL ignited the Village movement and our very own Ann Albert was a pioneer! All of these articles and books share SAIL’s mission of making sure older adults thrive! Send us your book and article recommendations, or anything else you’d like to share on our blog! 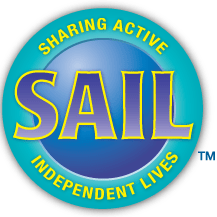 You can e-mail to meghan@sailtoday.org or call the SAIL office at 608-230-4321 to let us know what’s on your mind! Next ›Ways to keep your mind sharp!